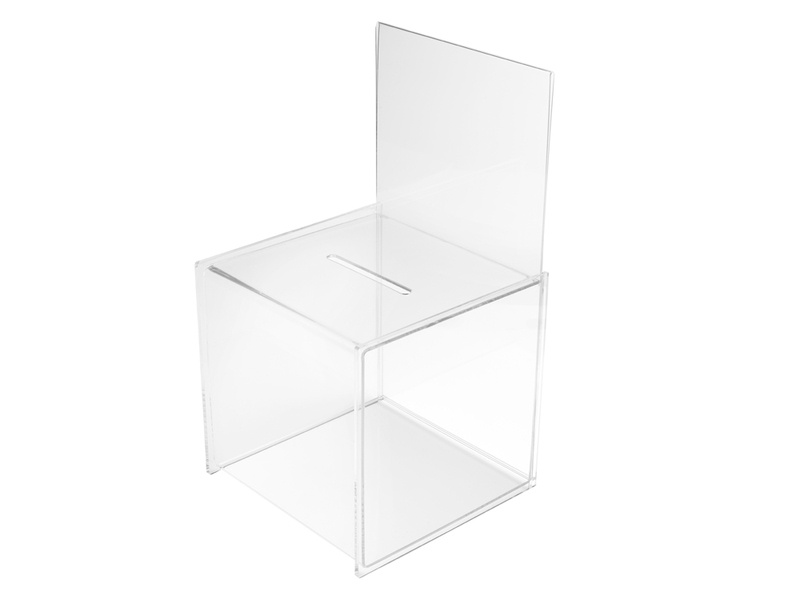 Capable of holding signs up to 203x375mm, this Deflecto Suggestion Box and Sign Holder is the ideal choice for gathering customer feedback. 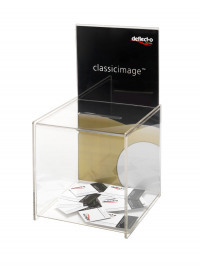 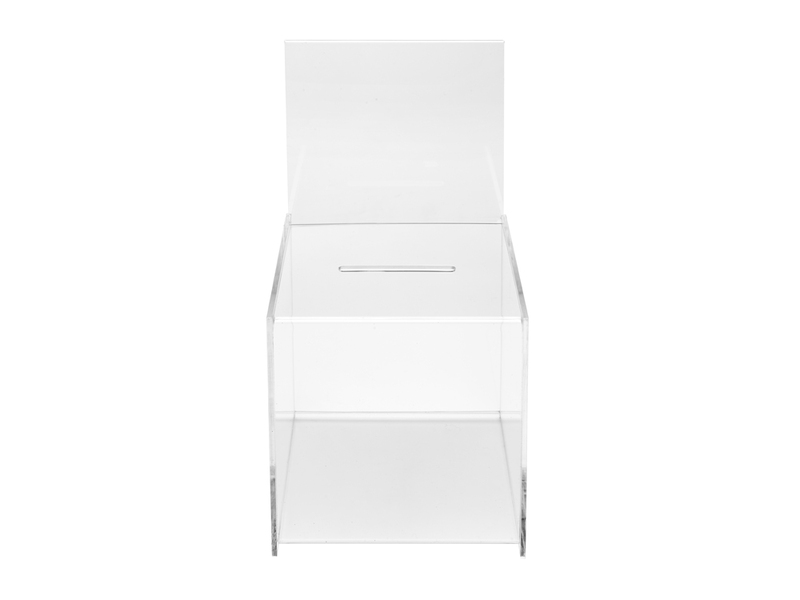 This cubic suggestion box includes a slot for business cards, tickets for raffles, or feedback cards. 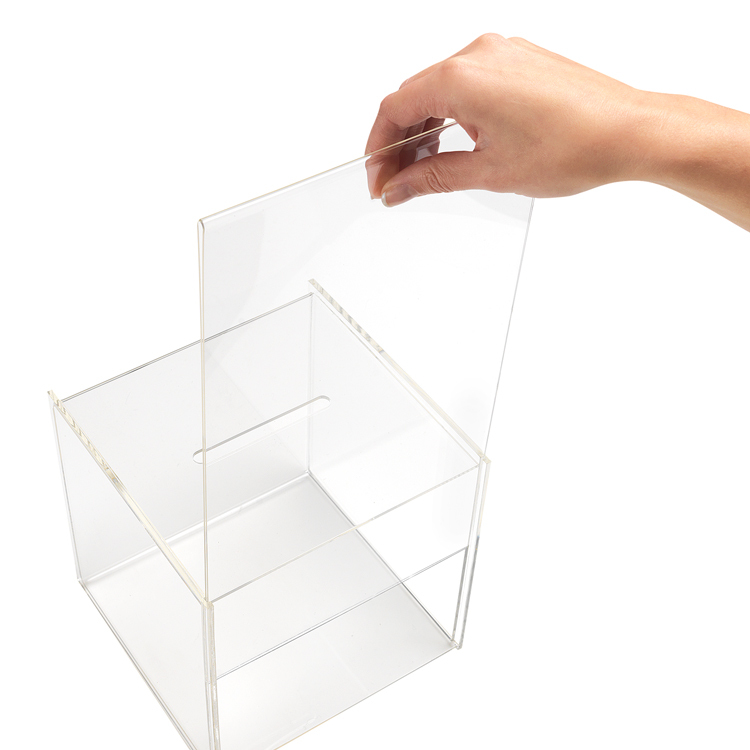 At the top there is a sign holder for a promotional display - use it to advertise rewards and competitions to encourage visitors to drop in a feedback card.